Coupon valid for residential customers only. One coupon per customer. Must present coupon at time of first consultation. Valid only with new water heater supplied and installed by Plumbing Doctor. Not valid with any other offer or discount. No cash value. Must live within standard Plumbing Doctor territory. Coupon valid for residential customers only. One coupon per customer. Must present coupon at time of first consultation. Not valid with any other offer or discount. No cash value. Must live within standard Plumbing Doctor territory. Call 530-671-9111 to schedule an appointment today! Your local Yuba Plumbing Doctor®, has built a reputation as the premier plumbing service and repair, sewer and drain-cleaning company for over 30 years. We offer same day plumbing in Yuba, CA and are able to solve even the most difficult plumbing problems. At Plumbing Doctor® Yuba we do it all, and with our Up-Front Menu Pricing, you know exact what you are paying for and how much it will cost before we begin our work. Our Yuba plumbers offer both commercial and residential serivces and our service trucks are fully stocked to tackle any plumbing problem, so you save time and money! Thank you for being so promp in fixing our pluming leak. You all were very quick to respond to a major problem. It was stressful for us to realize the cost and change that our home would go through. However CALEB and the crew were extremely patient and understanding of our situation kudos to them! We are learning to adjust to hot water all the time now. It will be interesting to see how the system works come winter. Thanks Again! Wow! We had to replace our sewer main, which we have known for a couple of years now. We called Mark as we were impressed with his service the first time when we needed help with a clogged drain. All I can say is they are the most professional, timely, hardworking crew we have ever dealt with in all my dealings with plumbers EVER! They did exactly the job they had mapped out within the time frame they had predicted. The yard is back in shape like they had never been here. The price is very reasonable. Very impressed! We will definitely use in the future and I highly recommend Reno Plumbing Doctor. My experience with Reno Plumbing Doctor was nothing short of satisfactory, the owner Mark understood my needs and exceeded them on site. Had a sewer repair a few weeks ago and no problems. Job was completed in reasonable time and comfortably priced. Called Plumbing Doctor in the morning with an urgent repair (in a remote location). Plumbing Doctor (Ron and Robert) arrived within hours; immediately diagnosed problem and proposed solution; Incredibly their parts store in van included the rare part required to resolve my problem. Job completed within a half hour. Answered questions pertaining to other problems in my residence and other rental property. Gave information that helped plan a schedule of repairs. Offered a lifelong membership for a one time fee, that gave immediate reduction on pricing. Made a very generous offer of other work, for that same day, at low/no cost. I accepted lifetime membership and the deals were good enough to offset cost of membership in a few years, and then assure significantly discounted pricing for work at all my properties. 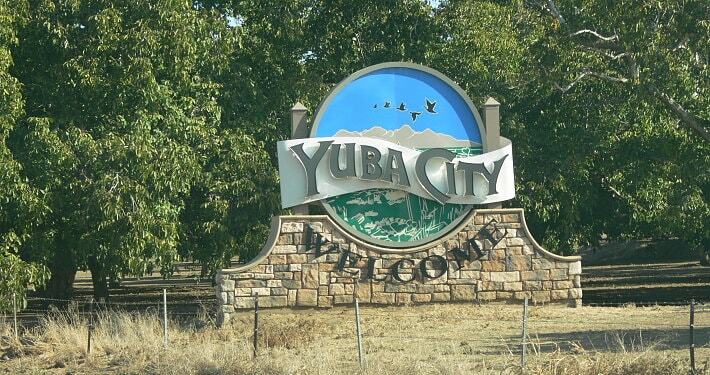 I can without hesitation recommend this team from Yuba City that demonstrated professionalism and great expertise. Excellent job ! Very professional work that was done at our physicality, no compliance would defiantly ask them back. Thank You Roni Hill & Pluming Doctor! Excellent service and work!! Finished in a timely manner. Josh did a great job. I an very happy with Res’s work and I will be using Plumbing Doctor again! Resendo did an outstanding job. Very professional, clean, and knew what he was doing. It was a very easy experience with Josh. The dispatcher got Josh out quickly and everything happended in minutes. Other plumbing companies stated they had to replace the entire faucet, but Plumbing Doctor was able to repair it. They saved me time and money. Jorge was very professional and took extra care to not track dirt into my house. He was very patient in explaining the plumbing issues to me. Plumbing Doctor is great! I wanted to let you know how much I’m enjoying my new Solahart solar water heater. Since your company installed it I began receiving free hot water immediately. The installation was fast and easy. After 15 years of being consistently overcharged for shoddy plumbing work due to the fact that we have qwest plubing we had the good fortune to be referred to Pluming Doctor. Kyle was our technician and he was very pleasant, personable, quick and efficient. He took the time to explain and answer questions. We will not hesitate to call Plumbing Doctor for any future problems. I would like to express my appreciation for the work completed at my house. Mark and the trenchless crew did a complete copper re-pipe. Me and my wife are very pleased with the results, clear water and a huge increase in the showers water-pressure. Why we wited so long to have this done, I don’t know. Bruce installed a new water heater for us today and I’m writing to let you know that it was a pleasure to see such a competent person with great work ethic in action. I would like to express our appreciation for the manner in which a major plumbing problem at our rental property was handled by your company. Mark was extremely helpful throughout the process. He demonstrated the highest professional standards in identifying the problem areas and completing the repair. We would not hesitate to recommend your company to others.